Genuine OEM Epson Ink Cartridge, Light Light Black, 1,980 page yield. Cartridge is filled with Pigment based ink. 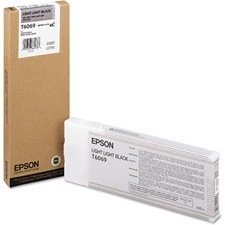 Epson part number: T606900, T6069.